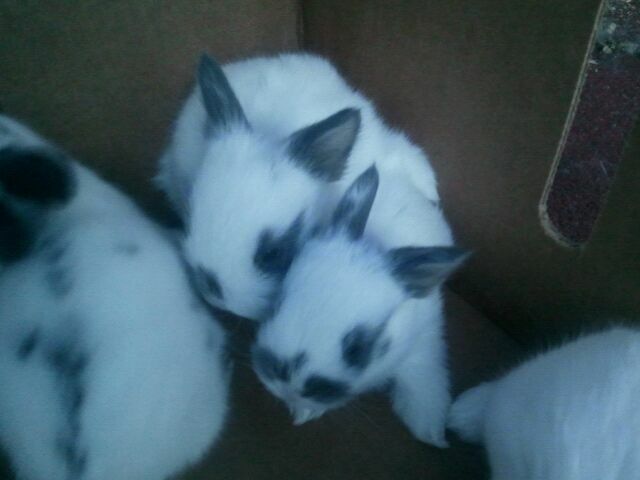 They've Come, and They've Gone! 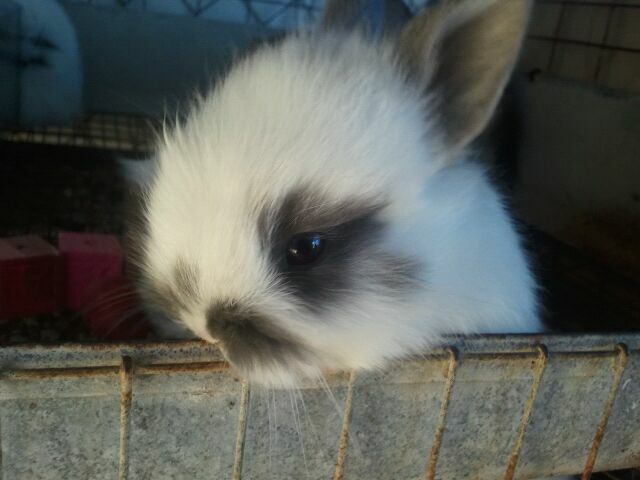 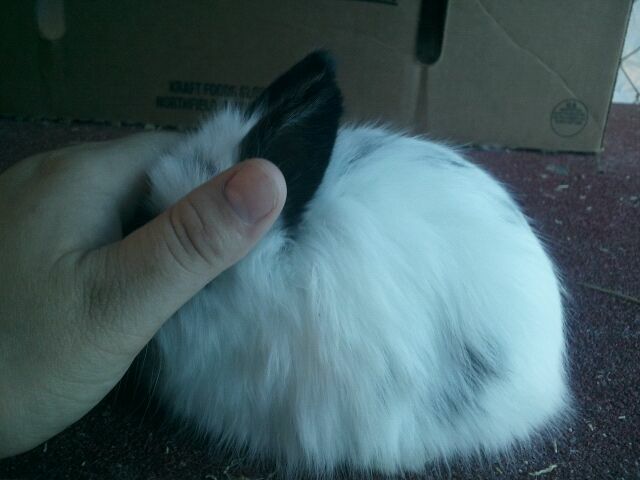 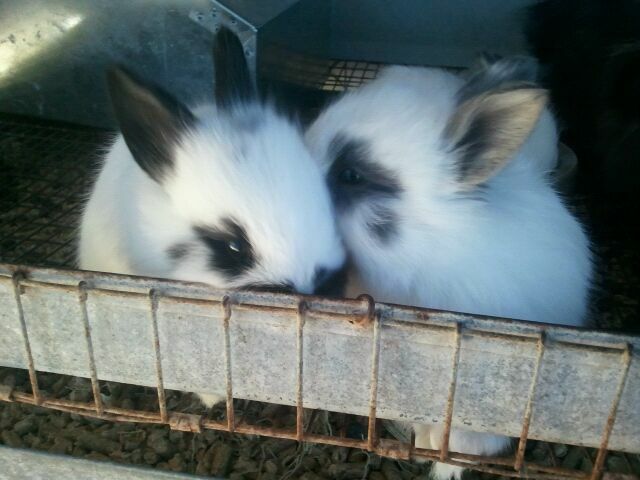 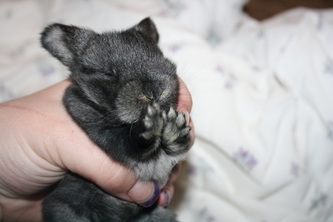 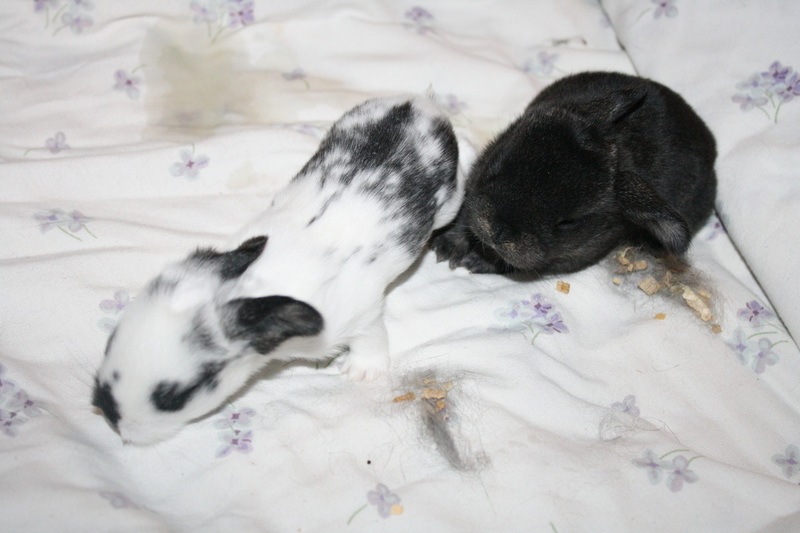 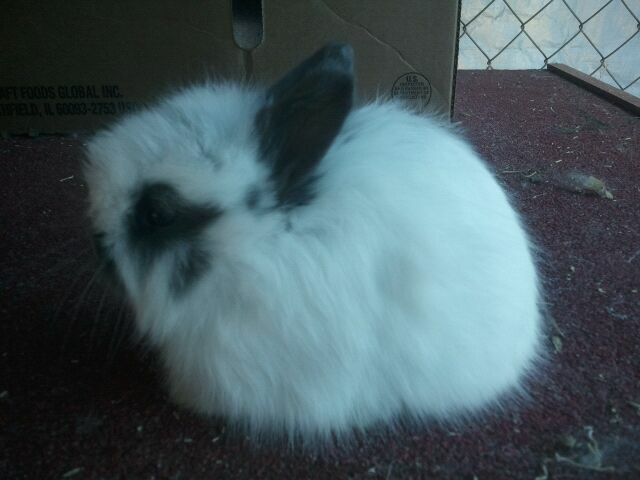 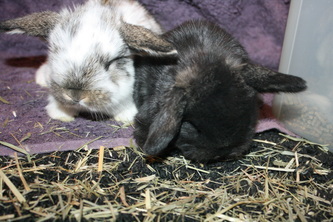 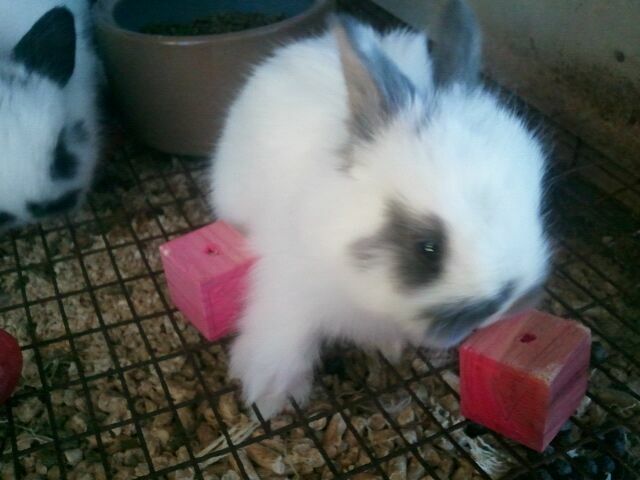 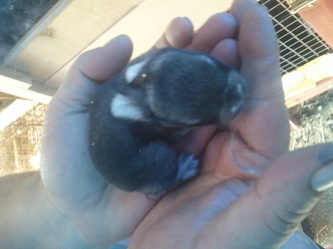 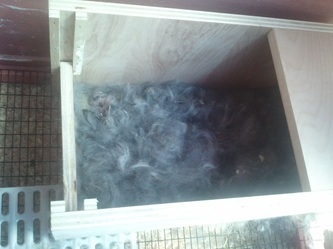 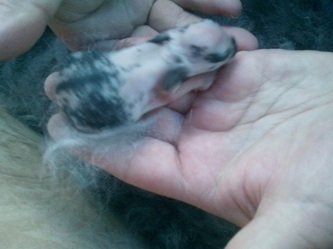 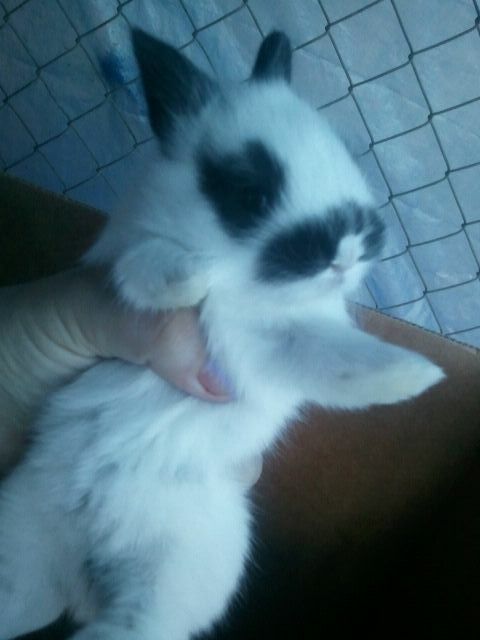 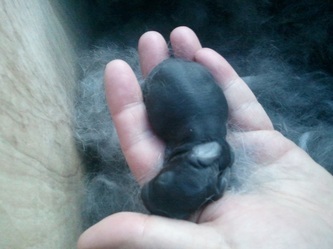 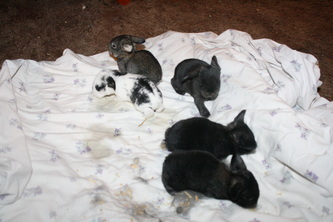 This page will show all or most of the litters that have come through our rabbitry. 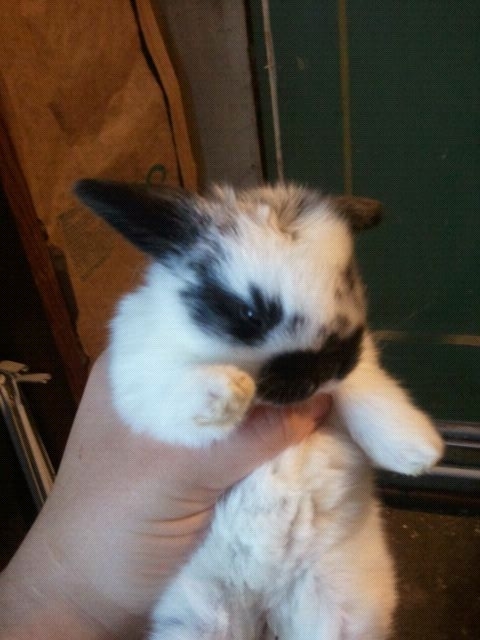 If you've purchased a baby from us, maybe the pictures of it are here! SR's Mumble gave birth to 8 little kits on 9/3/2011. Unfortunately, 5 were born dead, including 2 frosted pearls. 3 were born live and very healthy. 2 Seal, 1 Broken Black. 1 Doe and 2 Bucks. 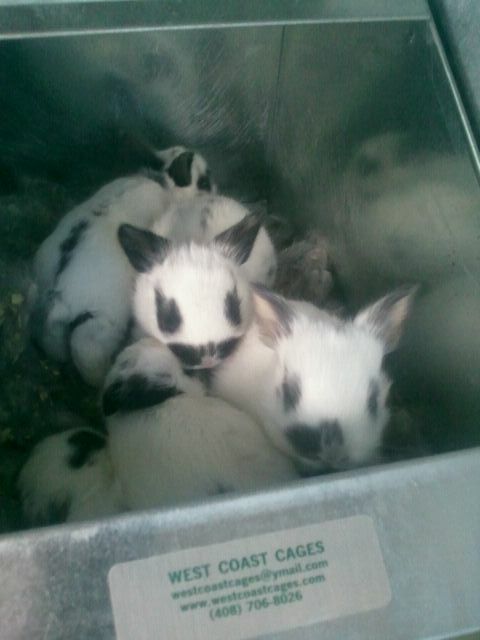 All from this litter have been sold. Housers' Nala had 5 fat healthy babies on 8/17/2011. Colors: 1 Broken Black, 1 Broken Chestnut, 1 Solid Silver Tipped Steel, 1 Solid Chestnut, and 1 Chinchilla. 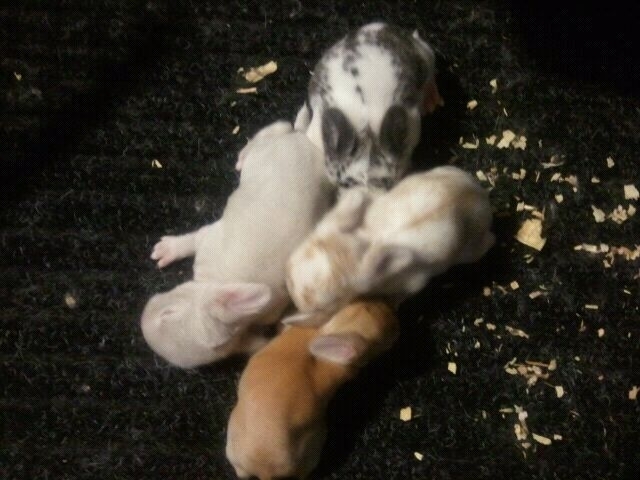 At this time, none of these babies will be for sale. 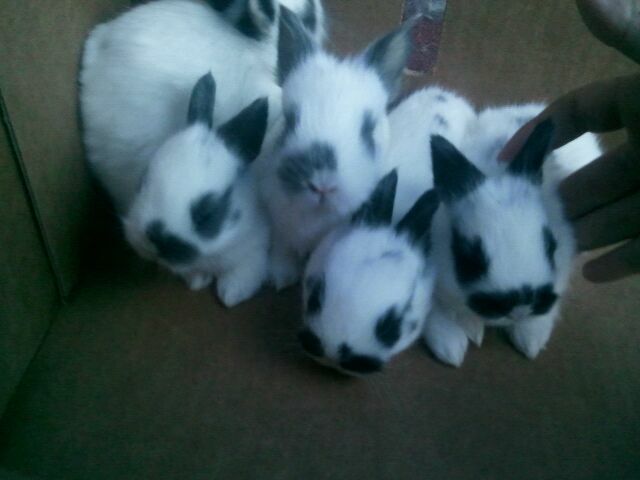 5 does and 1 buck. 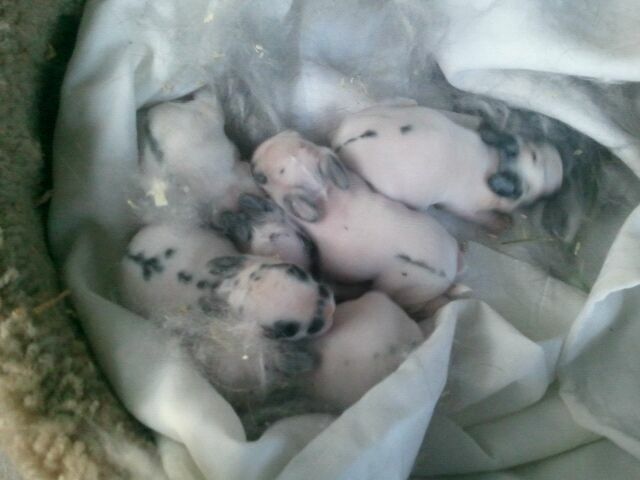 2 Broken Blacks, 1 Broken Blue, 1 Broken Blue Otter. 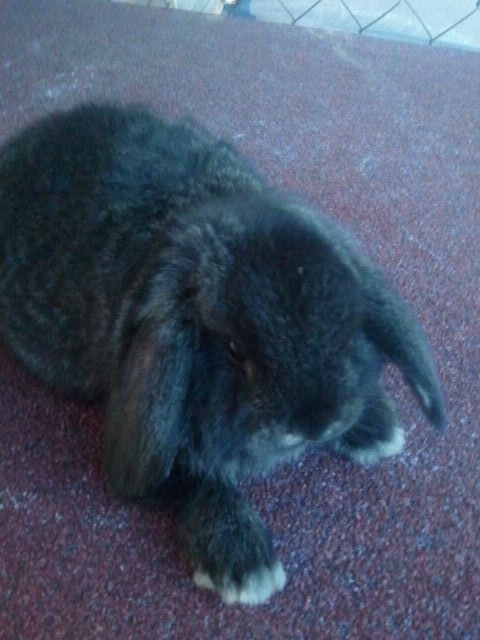 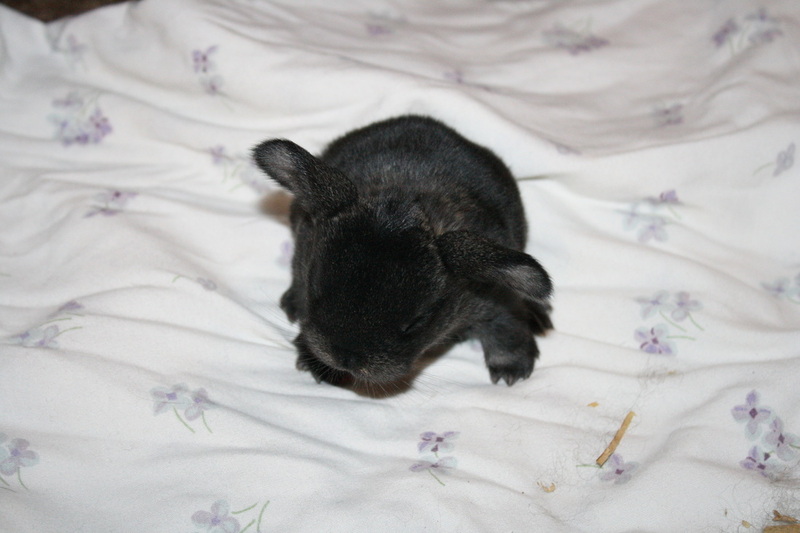 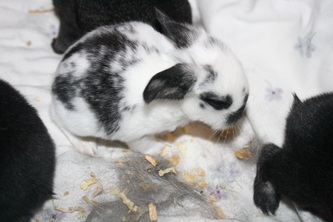 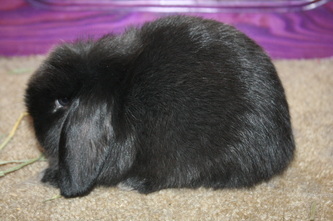 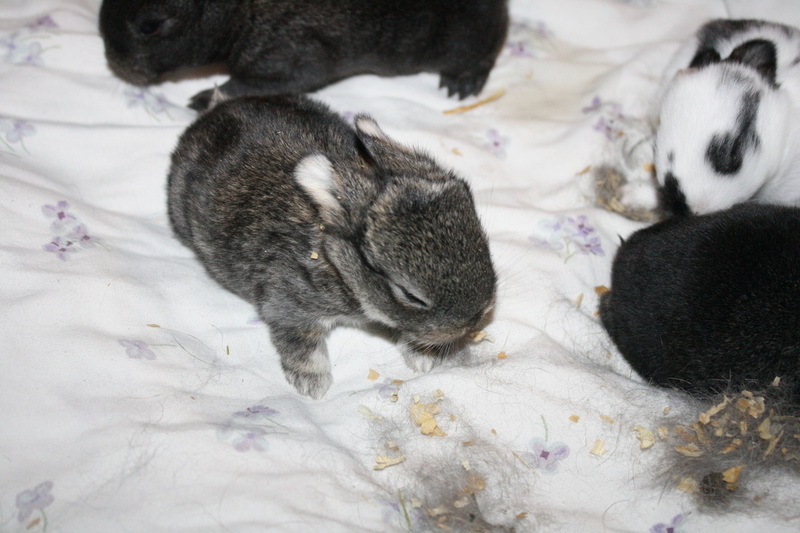 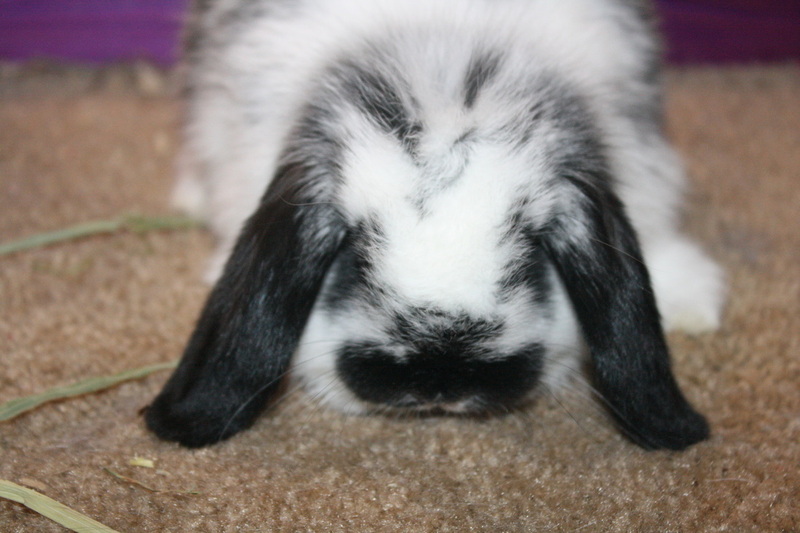 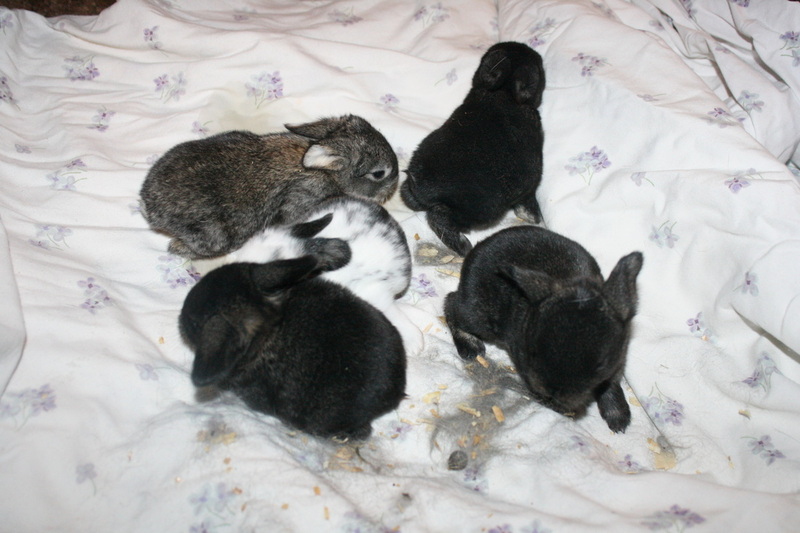 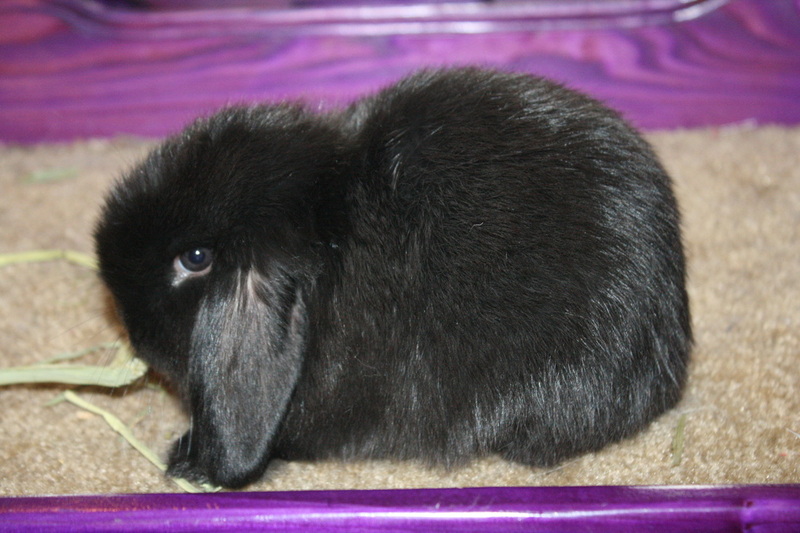 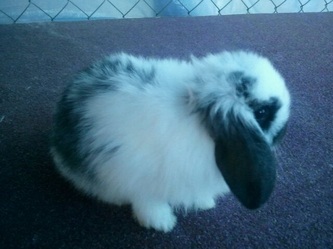 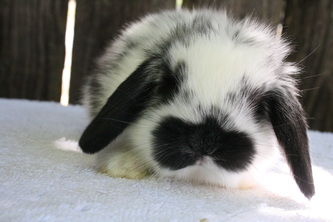 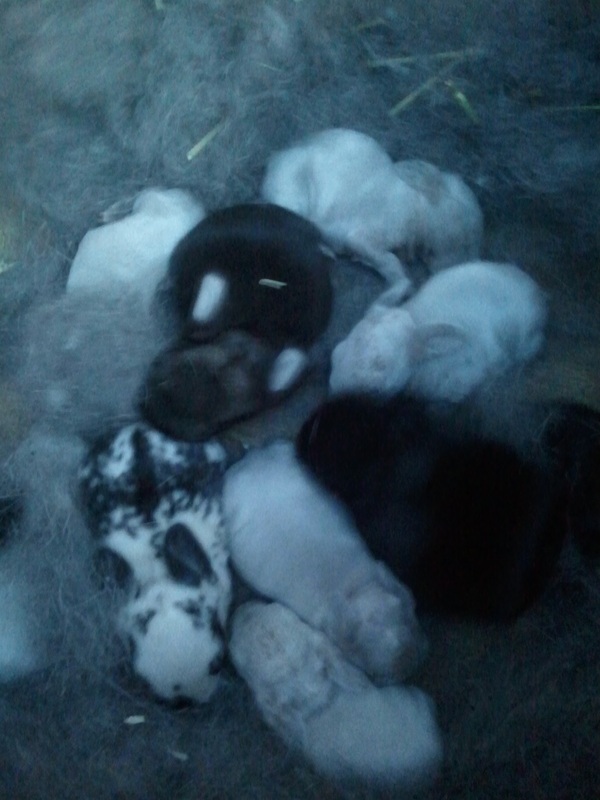 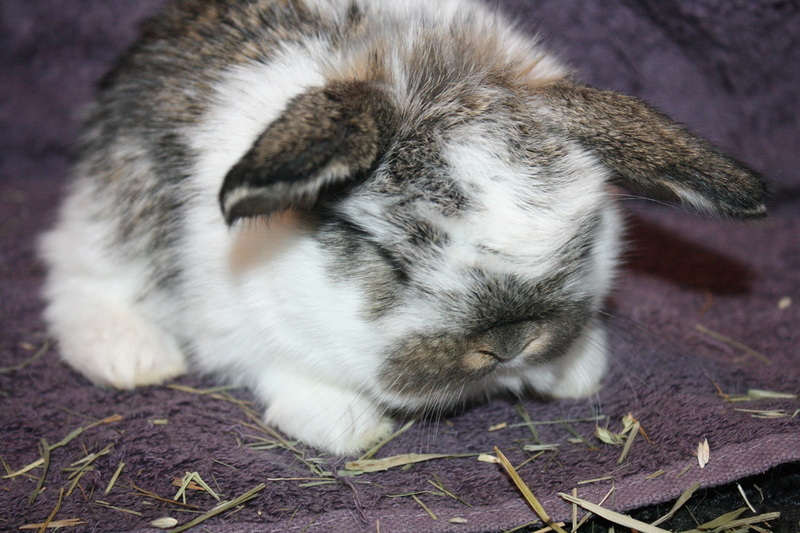 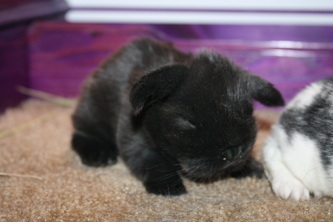 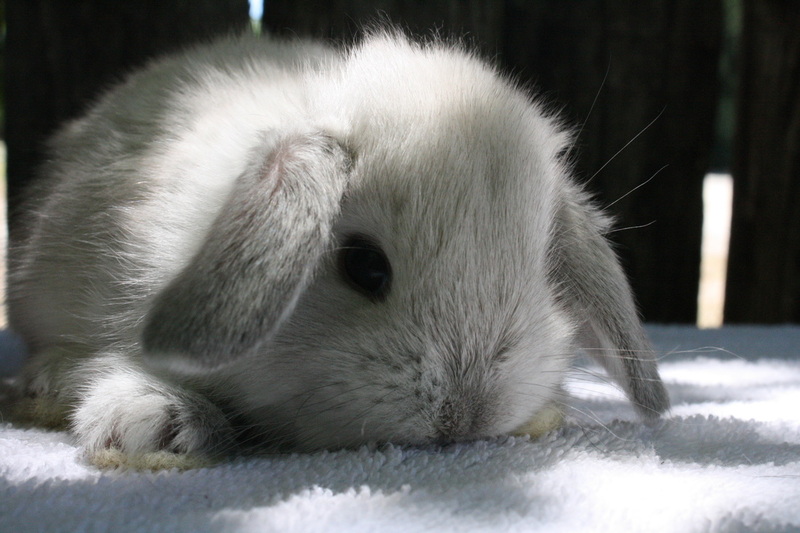 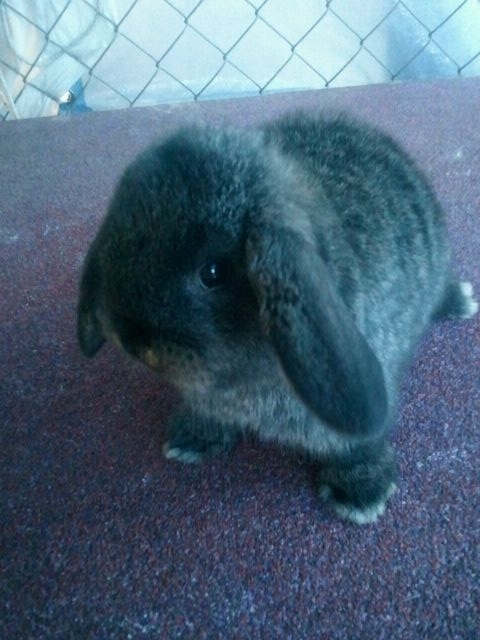 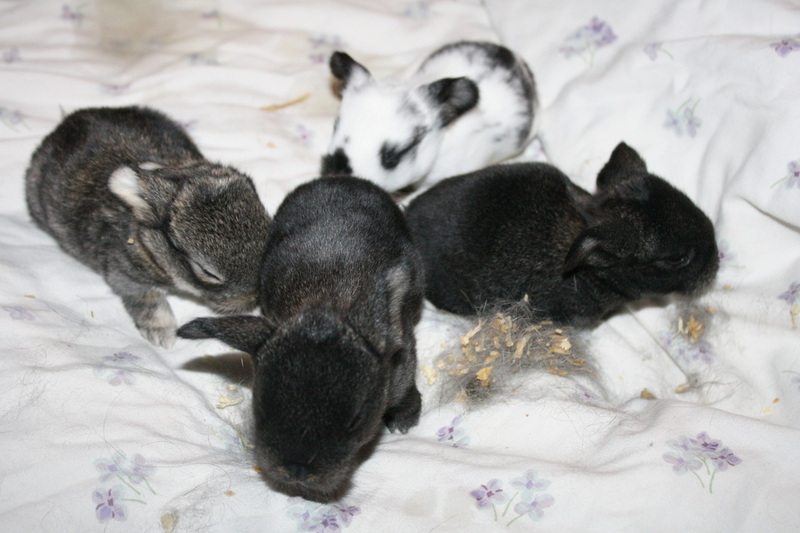 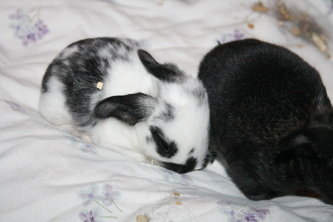 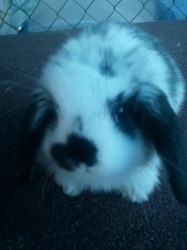 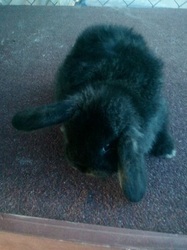 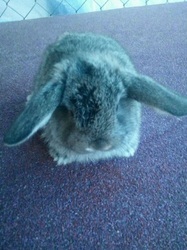 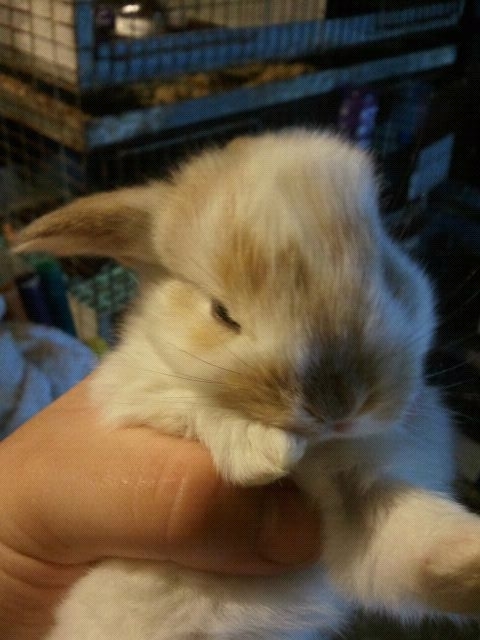 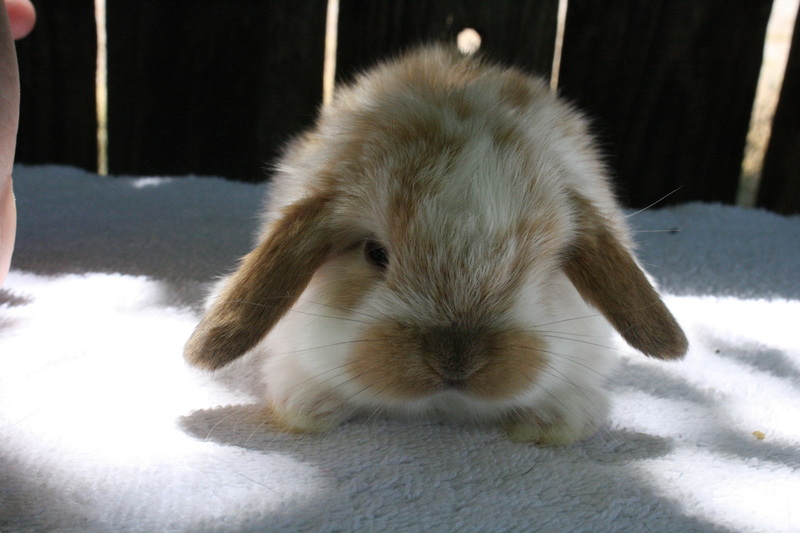 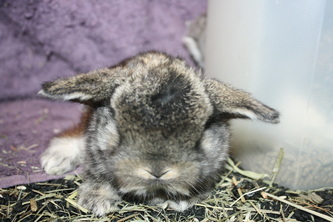 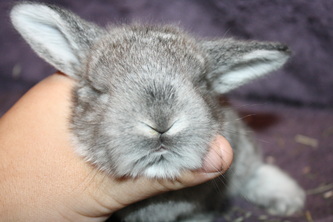 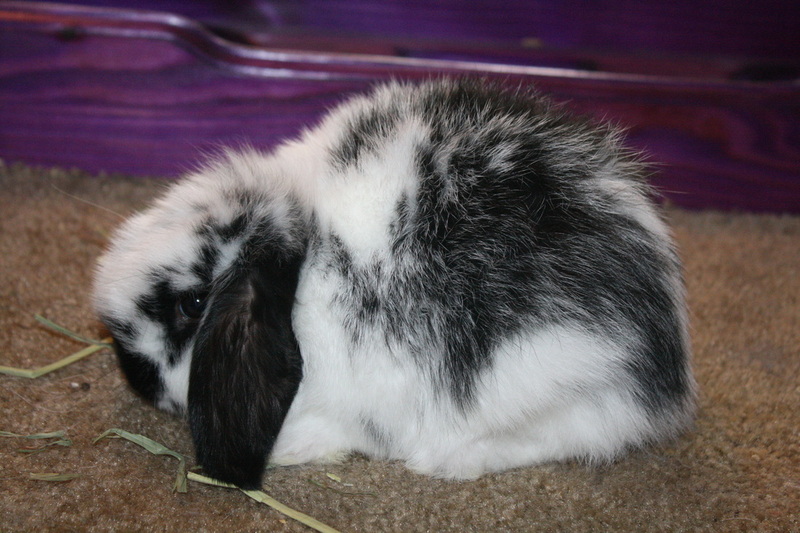 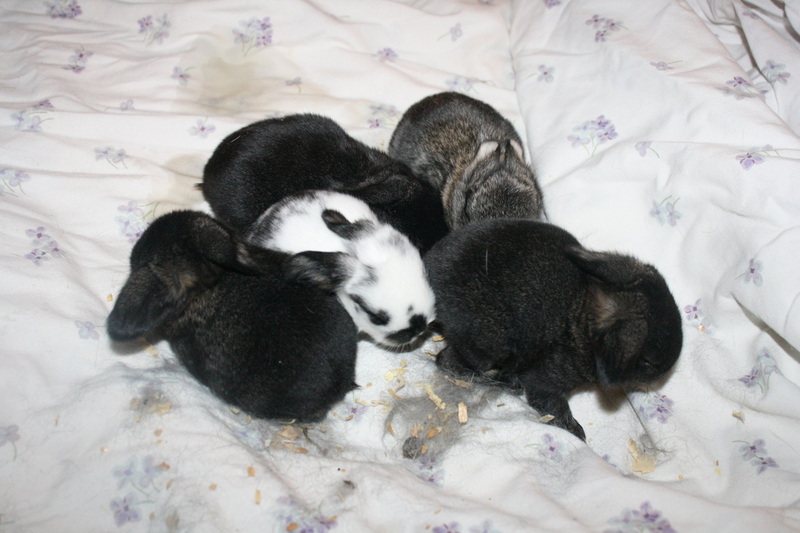 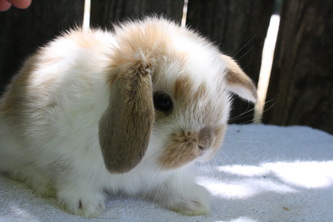 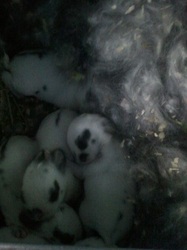 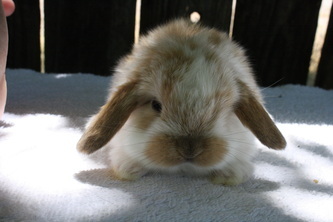 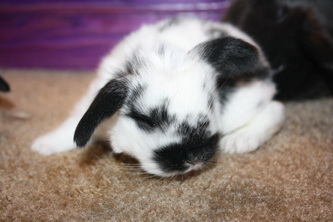 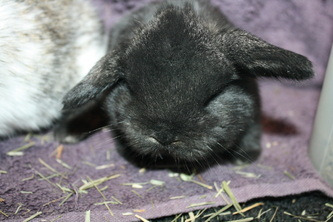 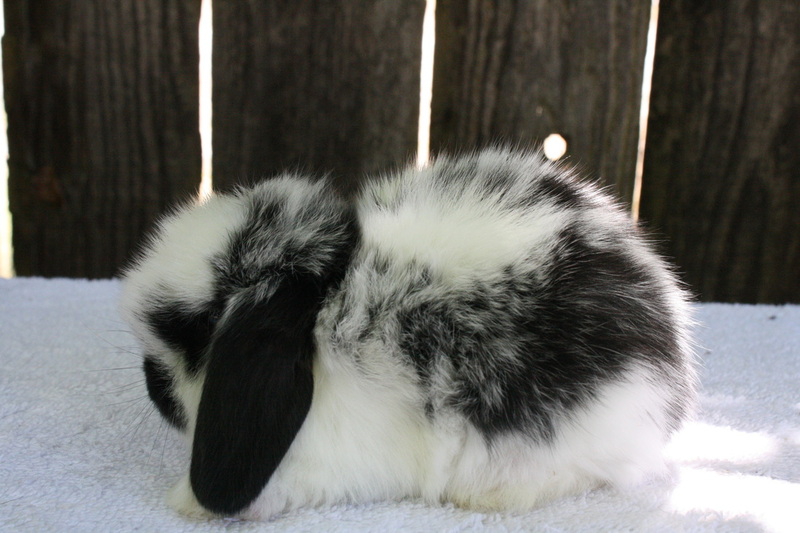 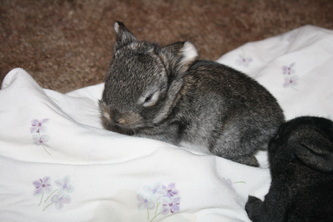 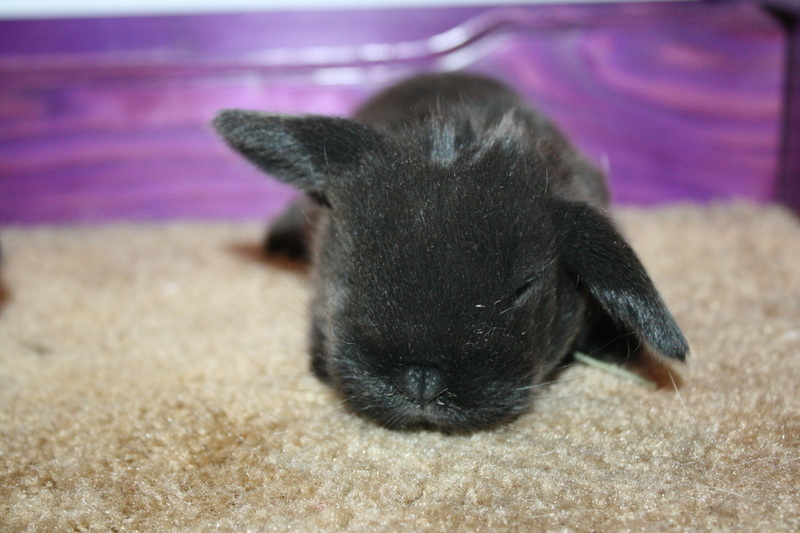 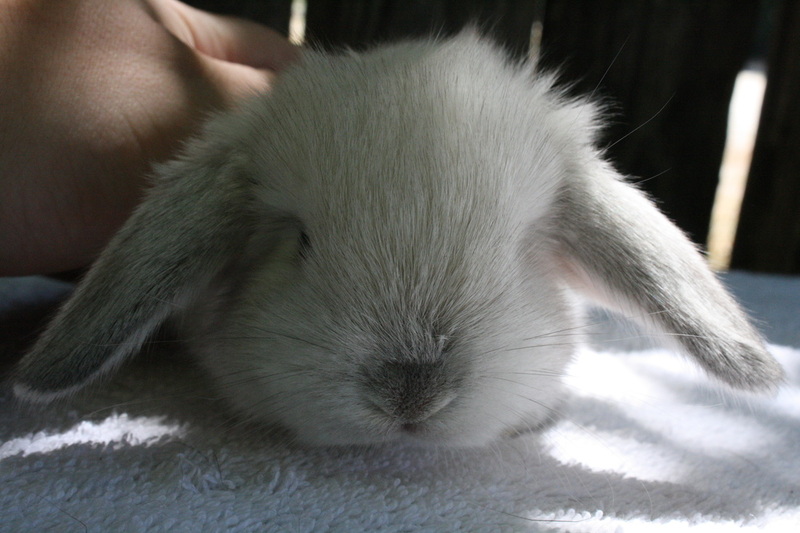 On March 31st, 2011, Nala the chestnut Mini Lop gave birth to 7 kits. 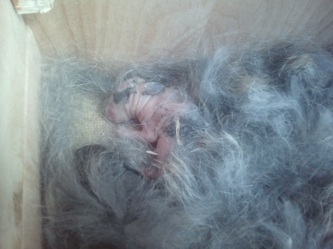 I went out there about 9:00am that day and saw all the babies OUTSIDE of the nestbox, and 3 on the ground. They escaped! Apparently the wires were to wide and one baby got stuck in between, (Poor baby!) 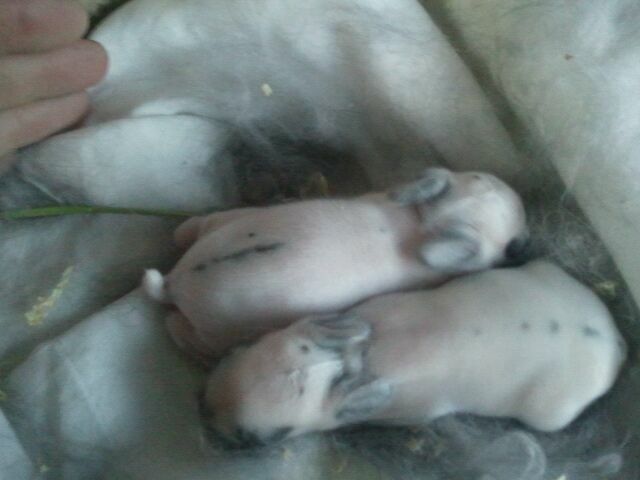 and 2 on the ground. 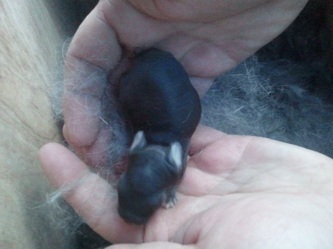 1 lived, and I quickly covered it in fur to warm it up. 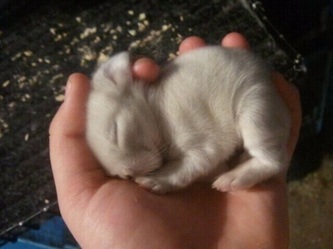 Luckily, all were healthy babies when they grew up! 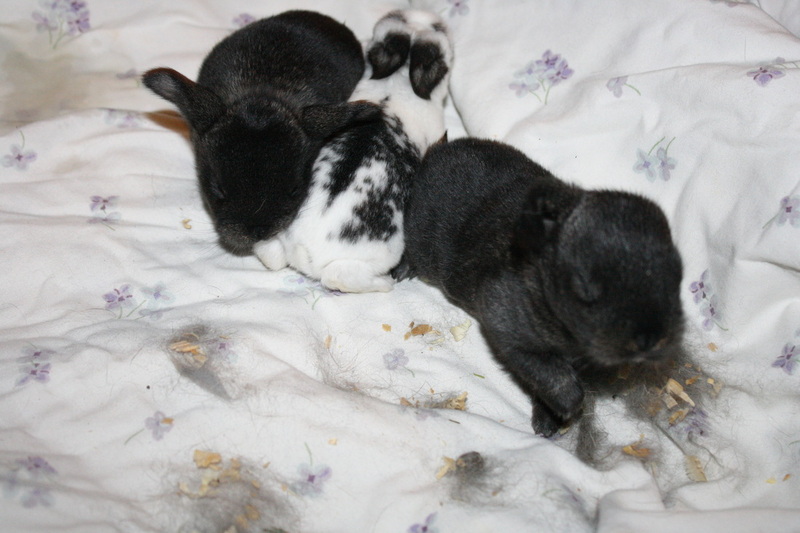 Colors are: 3 G/T Black Steel, 1 Black Chestnut Agouti, and 1 Broken G/T Steel.